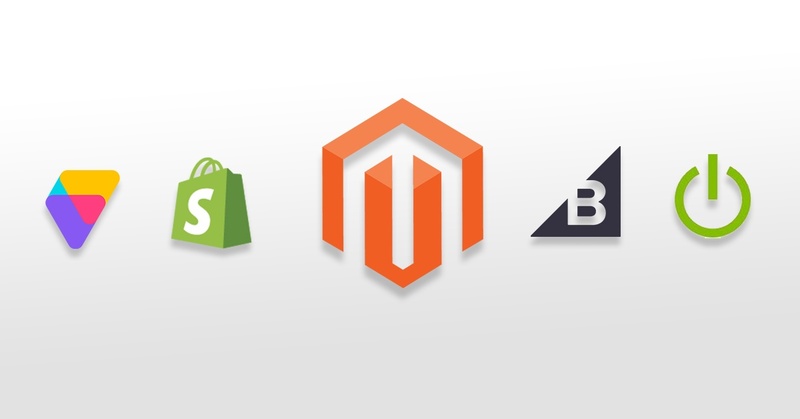 We're covering the prominent Magento competitors to help you select the right eCommerce platform for your business. The key is to determine the right price, functionality and ease of use for your company. Selecting the right eCommerce platform to use is key in building a business/brand online. It can be difficult deciding between the multitude of options available. Becoming a successful online retailer means understanding how eCommerce platforms work and how they can satisfy your business needs. Choosing the eCommerce platform that works well for your business it’s not a question of choosing between the bad and the good available options. Rather, it’s a matter of mapping your financial budget, your business demands and your future marketing plans with an eCommerce platform that is accessible to install and manage, offers the desired customizable level for your website and supports the number of products that you plan to sell. Many people think each of the platforms are essentially the same but the reality is that they are vastly different from one another. No eCommerce will serve all purposes: they all have their strengths and downsides. Oftentimes, what works for other business in your industry or for other businesses your size might not work for you. Many people are familiar with the Magento eCommerce Platform as it is currently the industry leader. However, there are several other options worth considering as Magento might no be right for you and your business need. To help you decide what might be the right option for you, we at Groove made an overview of the most popular eCommerce platforms; bigCommerce, Shopify, DemandWare, and Volusion. BigCommerce is a very strong and reputable eCommerce platform that currently powers thousands of stores and has processed over $9 billion in transactions. BigCommerce, like Magento, serves a wide range of industries, such electronics, gifts, jewelry, etc. One of the biggest benefits that BigCommerce has over other eCommerce platforms is its intuitive design and ease of use. When it comes to installation and development, BigCommerce has a quick launch option available that helps you go through the process. Along with its ease of use, BigCommerce offers 24/7 support for their clients through chat, email, and phone. Another huge benefit of BigCommerce is the multi-level security that they provide for their clients. The security package includes being PCI compliant on a Level-1 basis and server protection in the form of firewalls, file-integrity scanners, and 24/7 monitoring. Also included in BigCommerce security is Sift Science, an automated fraud detection service used by brands such as Zillow and AirBnb. Lastly, and maybe most importantly, BigCommerce offers an all-one-platform. This includes hosting, themes, SEO and more – making store setup and transition a significantly easier financial and logistical task for business owners and marketers alike. BigCommerce offers limited variety of free themes offered by the eCommerce platform. Additionally, businesses generating $100 million+ in annual revenue may find the platform doesn't fit their high-level Enterprise needs. Often these businesses require extensive customization, which can push the platform to its technical limits. However, it serves as an ideal choice for growing mid-market and Enterprise customers. Along with Magento and BigCommerce, Shopify is one of the leading eCommerce platforms used by many small-to-mid-sized companies. Currently, Shopify is powering over 500,000 shops and has processed over $40 billion worth of transactions. Shopify is a fully integrated e-commerce solution, providing ready-made online shops that you can tweak and customize until your heart’s content. Shopify has the capacity to be feature heavy out of the box, but that doesn’t drag load times or the slickness of using a Shopify site. Shopify’s biggest strength comes in it’s customization options and user-interface. In today's time and age almost every service markets itself as ‘user friendly’ but few actually are. Shopify is one of the few. You can choose from a multitude of ready-made designs that are also responsive meaning your site will be optimized for mobile & tablet users. Along with BigCommerce, Shopify offers plenty of security for their clients. Shopify is certified Level 1 PCI DSS compliant. As a result, all Shopify online stores are automatically PCI compliant, which ensures your customers have peace of mind when shopping from your site and makes sure your business comes across as legitimate and safe. The biggest drawback that pushes users away from Shopify is the cost of the eCommerce platform. With Shopify there is a fee for both a monthly subscription and individual transactions. If you plan on selling your products in volume then you seriously need to take these costs into account. Another major drawback of Shopify is the proprietary coding that the eCommerce platform is built off of. Essential this means if you want to delve into the backend, you are going to need someone who really know what they are doing. This may seem like a non-issue to some but in the long run it can increase maintenance costs and result in delays in updating your store. One of the lesser known platforms is Demandware, a cloud-based eCommerce platform that launched in 2004. Demandware operate a little differently than the other eCommerce platforms mentioned so far, it allows users two different ways to utilize the service. The first way is that it can be used as a “shell”, customers can build and create websites for themselves while Demandware will be the backbone that power their site . The second option that Demandware offers is letting a partner handle everything for you. The biggest advantage that Demandware offers over its competitors is that it requires much less time to develop extensions because the platform is completely cloud based. Demandware itself is hosted on high performance servers so there is no hosting needed when using eCommerce platform. One major drawback to Demandware is the cost of the platform. There is no free trial version and it is only available on an Enterprise level. The cost of Demandware is extremely high when compared to its competitors. If your business is a start-up or relatively small, Demandware might not be the right choice for you. 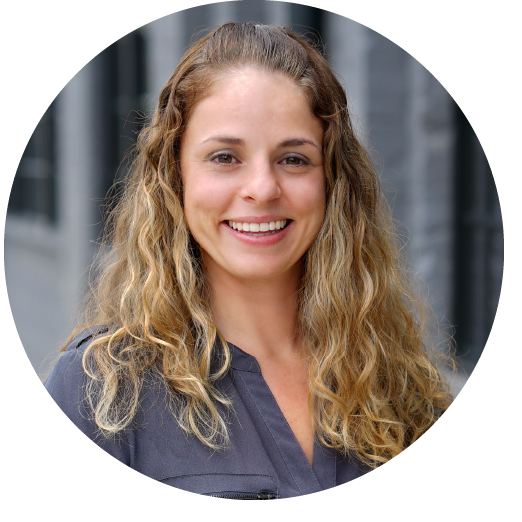 The last eCommerce platform on our list is Volusion, a service focused on providing a full toolkit for clients who want hosted solutions. Volusion gives the user control with everything business wise such as sales, marketing and merchandise. Where Volusion excels compared to its competitors is its eCommerce operations and integrated marketing features. Although your marketing strategy matters more than the tools, having the right tools does matter. With that being said, Volusion has almost any marketing tool you would want seamlessly integrated into the platform. With eCommerce operations, Volusion helps clients with what is going on in the back end; inventory management, warehouse communications, and logistics. Pricing is the biggest deterrent that many have from choosing Volusion over other eCommerce platforms. There are several level of fees that stack up rather quickly under Volusion’s current pricing model. First is the monthly pricing followed by transaction fees and after that there is another two layers of fees with Credit-Card and Add-On fees. Another pitfall of Volusion’s is its blog, cms and analytics feature set. Unlike competitors, Volusion does not even give you an option to have a blog on your website. If you go the suboptimal route with “blog.yourstore.com” using WordPress/Drupal for you content Volusion still fails in easy analytical implementation. The first thing you should consider when searching for an eCommerce platform is the price. Whether you’re a small business just getting started or an already established one moving online, you need to know exactly what you’ll be paying. Another factor you should consider when looking at e-commerce platforms is the integrations and plugins. Most platforms, such as BigCommerce, will have plenty of tools for you to run your business Along with plugins, Implementation of Search Engine Optimization and Website Responsiveness should be another consideration when deciding which eCommerce platform is right for you. Security and customer service are often overlooked features of a eCommerce platform but they should be key factors as well when deciding which platform you should use. No one wants to enter their credit card information on a website they don’t feel is secure so knowing what security is provided is key. Lastly, you should look at the scalability of the platform you are considering. All business owners hope their business will grow in the future, but you may not know to what extent. Nonetheless, it’s important to look for a platform that will scale along with your business. Before making a decision around an ecommerce platform, really evaluate what you’ll be charged for now, and into the future as you grow and expand. Occasionally, you’ll be charged for services particular to only you but you shouldn't find yourself paying extra for bare minimum features of an eCommerce platform. With that being said, we will look deeper into the pricing structure of each of the service mentioned so far. Overall, each service boats impressive usage numbers where it be the number of businesses that use the platform or the shear size of the businesses that do . It is important to realize that each of the service mentioned in this article is targeted to a different size of business. Shopify is the top choice for micro/small businesses with the eCommerce platform having a flat rate as a value metric. For mid-market to larger businesses Magento and BigCommerce are the top choices with both offering very competitive prices for the features included. Demandware is exclusive to large scale enterprises and corporations and is priced relative high compared to it competitors. Figuring out what your store will need as you grow and keeping up with trends is a challenge, but it is well worth it in the end to create processes that work and will scale with your business. Knowing what to look for ahead of time makes choosing a platform an easier process and can help you find success! If you're looking for an expert opinion or just someone to bounce ideas off of, we're happy to help! Request a Free eCommerce Website Assessment using the button below.